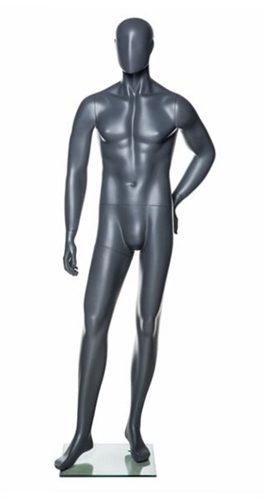 This well-built male will make your merchandise display pop. He is in a standing with his left hand on his hip. Fiberglass construction with a grey finish. He comes with a square glass base and foot and calf supports.